Marcus Traut is an attorney and an accredited specialist in criminal law. His law firm is located in Wiesbaden, Hessen, Germany, with a district office in Würzburg, Bavaria, Germany. After finishing his legal studies at the Johannes-Gutenberg-University of Mainz, he completed his practical legal training within the district of the Regional Court Wiesbaden. Since his admission as a lawyer, Traut has exclusively practiced in the field of criminal law and is a very experienced defense lawyer. 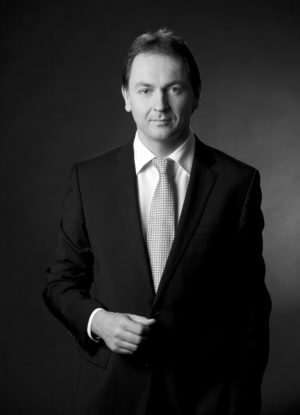 In 1999, the Board of the Chamber of Lawyers Frankfurt am Main granted him the right to use the title “Accredited Specialist for Criminal Law” based on his particular theoretic and practical qualifications. The law firm Marcus Traut exclusively specialises in the field of criminal law, especially in the areas of white-collar crime, criminal tax law, criminal corrup-tion law, criminal medical law, and criminal appellate law. In addition to defending individuals in criminal proceedings and representing them in occupational law proceedings, the law firm also offers legal counseling and representation to business enterprises. The law firm Traut offers preventive counseling on criminal law (compliance) and internal investigations. Offering preventive counseling to companies on criminal law issues is becoming increasingly important in the firm’s regular consulting practice. You can read Marcus Traut’s Five Supporting Pillars of Compliance here.